On Tuesday, the Landmarks Preservation Commission named the former Spring Mills headquarters at 104 West 40th Street the newest New York City landmark—arguably the most important designation of the year so far. What makes Spring Mills so special is, well, that it’s not exactly special. Unlike notable predecessors—Lever House, the Guggenheim, the Ford Foundation—Spring Mills was preserved less for its architectural pedigree than its historical significance. Designed by skyscraper savants Harrison & Abramowitz, and completed in 1963, it is less the 21 stories of green glass on a slender facade that sets this building apart—though that is important, too—than its serving as a marker for the 1960s arrival of the Garment District in Midtown from its former Tribeca home. This makes Spring Mills more in line with, say, West-Park Presbyterian Church, a cultural and community icon, than Chase Manhattan Plaza, an architectural standout for being the first of its kind downtown. In other words, modernist landmarks have reached a point where they are akin to their brick-and-mortar predecessors, becoming simply another architectural style or era to be grappled with on its own merits. Last year, the commission nominated more than 1,000 landmarks. 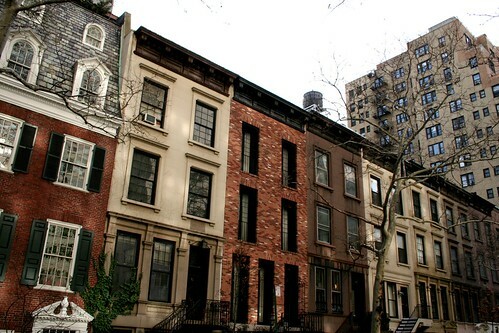 A vast majority of those were in the newly created Prospect Heights Historic District, as well as smaller districts created across the city plus 32 individual landmarks. None of them, however, were modernist structures, showing a continued deference for pre-modernist design. This is not a knock against the commission. 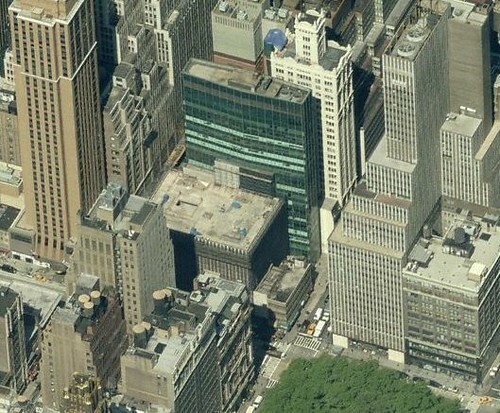 Often times these buildings can be hard to love, and many of the good ones have already been given protection—buildings like Lincoln Center and 2 Columbus Circle, which have yet to be designated, demonstrate the risks and rewards of such non-preservation. Still, there is progress being made. Eight modernist buildings have been given landmarks protection since 2003, part of the commission’s renewed efforts to recognize this important architectural era in the city’s development. While such buildings account for only a few dozen of the 26,000 spread out across the city, Spring Mills is a sign of the continued mainstreaming of such structures. “This is very important to us—it’s a continuation of our interest in and action on modernism,” commission chair Robert Tierney told us last fall, when the commission had a hearing on Spring Mills, once the largest sheet and pillow-case maker in the country. 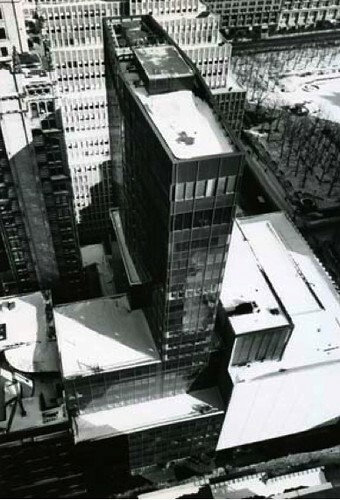 That same day, it also considered the Look Building, famous as much for the magazine it once housed as its layer cake facade that transformed Madison Avenue. Paul Rudolph’s former home on Beekman Place was also vetted, a building that would horrify many traditionalists. As the commission continues to grapple with such skyline-shaping buildings (Johnson’s Sony and Lipstick buildings, Stubbin’s Citigroup Center, Stone’s GM Building all seem prime candidates) it is refreshing to know they will increasingly be considered like any other, and as such, maybe many more of them will be getting the landmarks treatment soon.